Be aware of leaving your garage door open. Bikes and other items have been taken from open garages. This has even happened in day light while neighbors were in the back yard. If you are not in sight of your garage, close the door. Lock your car door. 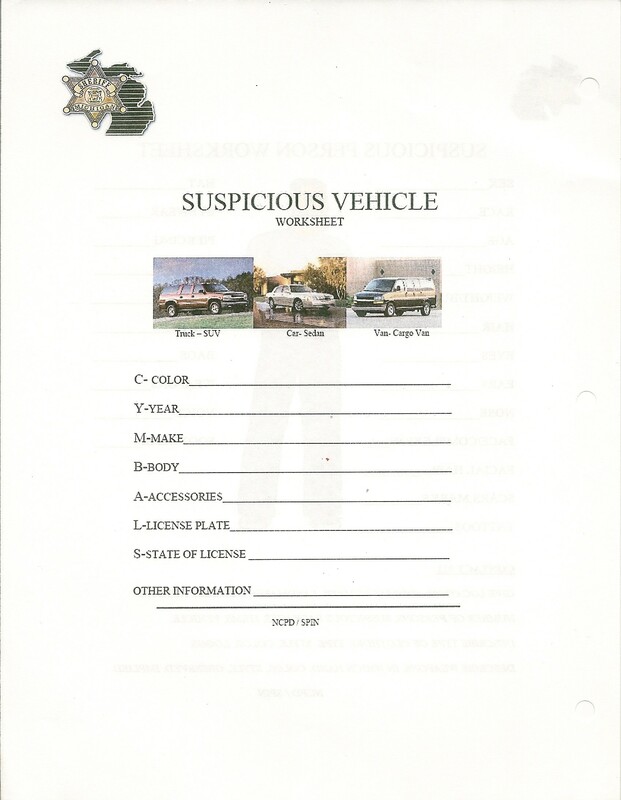 We have seen GPS and other electronic items taken from vehicles. Lights outside at night help keep prowlers away and also help others notice an event. If you don't like a light that remains on, a sensor light would be great for you. 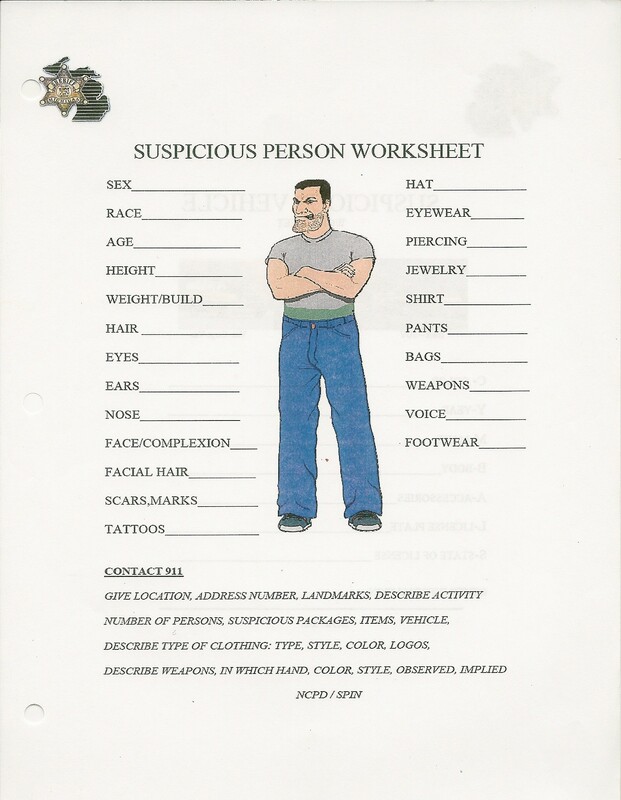 Worksheets to help when calling the police. 2. Secure Sliding Glass Doors, so they can't be lifted from the outside. 3. Motion Alarms, for your garage when left open. 4. Lock vehicles and don't warm unlocked vehicles. 5. Remove all electronic valuables from vehicles. 6. Remove mail from front door. 7. Put a timer on lights when you are not home. 8. 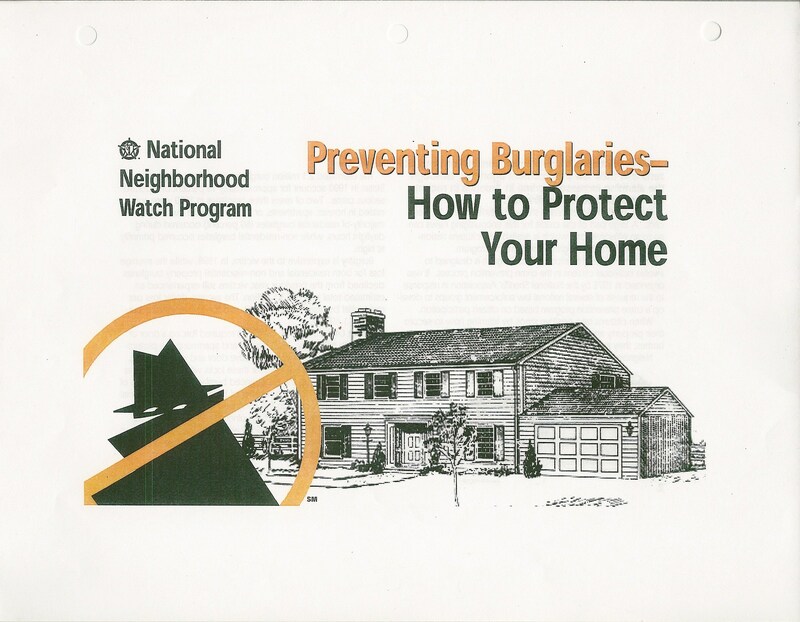 Lock lower windows when leaving the house. 9. Get to know your neighbors. 10. Keep front door visable, cut back trees and shrubs. 11. Close drapes at night and when not at home. 12. Have mail held or picked up by a friend, when out of town. Report all crimes and suspicious activity to 911, and to the watch representative at: ypm@ypminc.com. We need your help to keep our community safe.